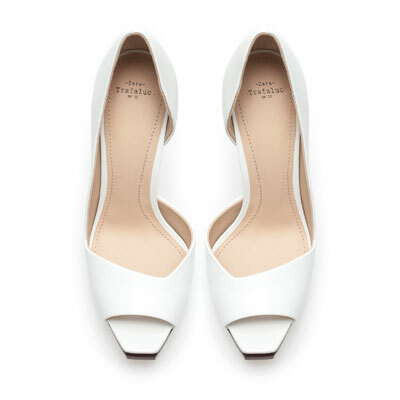 White shoes are very daring but coming full force for Spring 2013, so if you haven’t got a hold of a cute pair of white heels, check out these from Zara. They are perfect for Spring and add a nice statement to your outfit. It’s the usual theme for Spring, so start to incorporate soft colors and sweet clothing pieces into your fall wardrobe to help transition into the new season! Want to add a Spring & Summery touch to your skater skirt or high wasted shorts? Then crop it with a top. You will see this trend full throttle this year. Just remember to look classy and not trashy. Important rule in my closet- Never buy the same item in different colors. You will only end up wearing one of them, and it usually tends to be the one that is the most staple with all outfits. 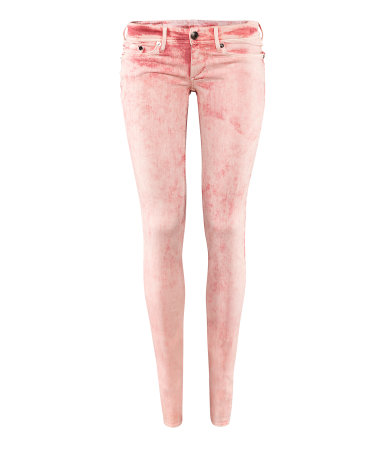 The acid wash jeans are NOW trending. I recently purchased one of these cuties at H&M and I absolutely love them. Forever 21 also has them & they are top rated! LOVE all these! can’t wait to get me a pair of white pumps and those tie dyed jeans!